A construction company’s decision to go digital when it comes to its HSE or QHSE systems necessitates a whole lot of change management alongside the investment of a lot of time and energy. 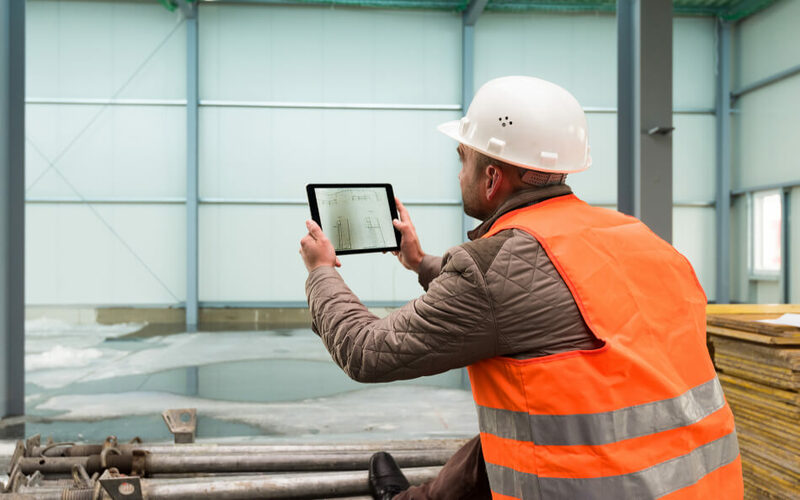 Even if it’s just Quality and HSE digitalisation, the changes would require an organization-wide tweak that would involve the entireness of your construction company to adopt a digitalisation mindset. 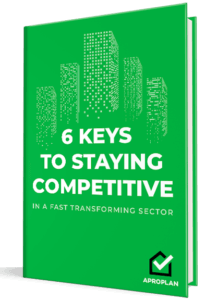 As it would affect your company’s construction culture and require your teams to change their thinking and relationships with technology, resistance is very crucial and tends to be the most challenging part. As your company sets sail on a digital journey, your core roles and processes need to be redefined. As much as you aim for external disruption in your changes, there will likely be severe internal disruption as well. Regardless of how “brilliant” a digital idea is, it may not seem too cool to internal stakeholders. Sometimes, they can even be hostile. While transitioning, these changes may require deeper learning curves and initial losses in efficiency — ”things will likely get worse first before they get better”. Lastly, digitising sets out greater integration needs as compared to other forms of change, coupled with incidental consequences brought about by the digital changes, like the domino effects to other processes and systems. Further reading: Deep dive into what QHSE digitalisation really is about. The size and rate of change can destabilise your staff and this unsettling can manifest as resistance. According to surveys, resistance is usually strong among middle management. This is the level of organisation to look out for as they seem to be specifically troubled by digitalisation. Logically, the question to follow is, why? Are digitisation and digitalisation really a threat or is there more to this thinking? Let’s check the three factors that Charles Galunic described in his Insead article, Overcoming Resistance to Digital Change. When your company decides to be driven by data and analytics, that decision becomes a direct attack on the sense of control that middle management holds. Learning new technologies can also be a threat. Although very obvious, time is usually overlooked. The schedules of middle management people are already filled with reports, meetings, and bureaucracy that they have to attend everyday. Where will they get the time to retool, to learn new technology, to set up new processes and routines, to collaborate more broadly across stakeholders? As middle management personnel is often evaluated on how they meet their official targets, they don’t really have a lot of initiative to prioritise digitalising. Resistance in middle management may also be simply due to the fact that a digital idea or initiative just lacks value. The promise of game-changing new technologies can sway your company but not all technologies deliver their promise. Questioning the value behind a digital initiative should not be confused with resistance. Successful QHSE digitisation begins with strong leadership that embraces technology — this is a robust embodiment of how serious the company is about implementing change. Digitisation done correctly starts at the top and moves down throughout the company. A digitised and digitalised HSE system requires revolutionary leadership skills that can connect people, processes, data and things. We are comfortable with how we do things already. It’s not broken, why fix it? Remind your employees of your company values and communicate how a QHSE digital transformation aligns with them. Having a clear company vision speaks to your employees’ own sets of values and creates a smoother transition. This alignment of values increases productivity and sparks innovation, which are very important especially when organisational change is involved. When your employees are connected to your values, they grow invested in their work. They are more likely to cross over personal barriers to change and would be inclined to commit your company’s decision to digitalise. Entangling commitment to change management. Demanding results without demonstrating involvement and leadership. Rolling out new processes without a clear explanation and set direction. Failure to engage staff and excluding them in the digital change. Letting employees be ignorant of their safety and the safety of others. Being vague in what is expected of users. Not giving proper training, instruction or incentive to appropriate employees. Targeting unreasonable goals and demanding absurd results. Getting your employees to adapt to QHSE process digitisation is critical to your company’s digital transformation. Regardless of how many hours you have invested in planning, if your employees are not in it 100%, you will fail at execution and put all your efforts to waste. Make sure to invest in employee engagement and get your employees to adjust to the changes you’re rolling out as they are your most valuable asset in digitalisation. Don’t forget to remind them that digitisation would make their work easier. More about this topic: Get your employees involved in your QHSE initiatives.